First things first, if you’re heading to Monaco next week, you’ll need to make your way to the mooring in front of the prestigious Monaco Yacht Club for the international debut of the Dynamiq GTT 115, and if like me you really want one, you’ll need to write a cheque pretty quick - as only seven vessels will be launched. So, with cheque books at the ready, what’s what? The GTT (Gran Turismo Transatlantic) is the latest avant-garde superyacht designed by Monaco-based Dynamiq, in conjunction with internationally acclaimed Austrian design studio, F.A. Porsche and naval architects Vripack and Van Oossanen Naval Architects. 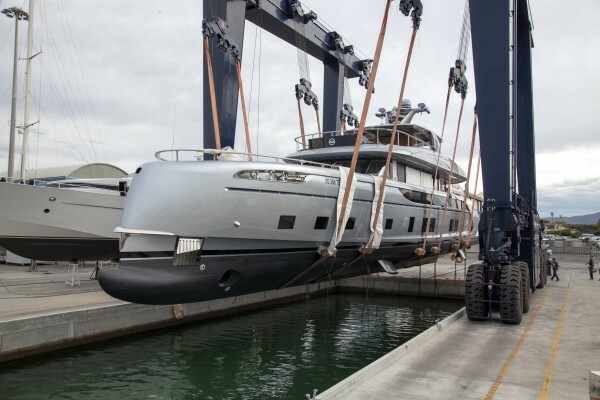 This latest launch though, like its older sibling 39m Jetsetter, is something a bit different. You see, Dynamiq is something of an industry disrupter with an ideology rooted in dismantling the status quo. 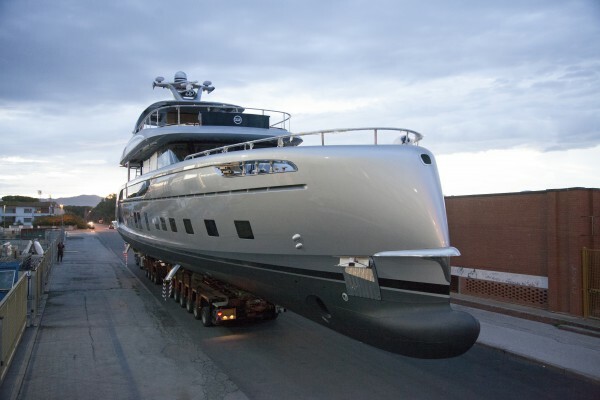 Indeed, this was largely achieved when Dynamiq introduced its superyacht configurator, an online tool that enables clients to freely configure a superyacht and track the price and delivery in real time. Yet, I’m still not completely sure if this simple and transparent process is madness or forward thinking? Nevertheless, the all-aluminium 35m GTT is exquisitely detailed, intelligent and nothing short of impressive. 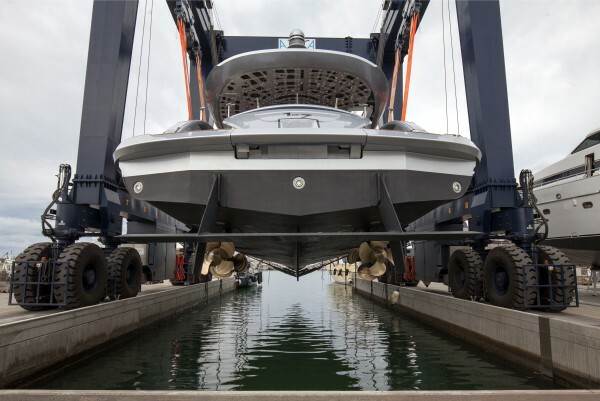 The round-bilge hull affords low fuel consumption thanks to its reduced resistance and decreased hull vertical acceleration, while the axe-bow with near-vertical stem maximizes length at the waterline and the yacht’s inherent performance. 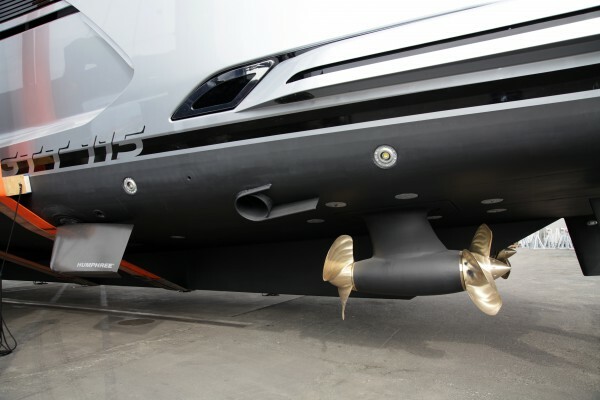 The astute hydrodynamic profile of the hull, coupled with the latest propulsion technology, is something to behold. Fortjes pods, noted for their greater efficiency over conventional prop-shafts, are married to twin MAN V12 engines, giving the Rhodium Grey vessel a top speed of 21 knots and a range of 3,400 nautical miles at 10 knots. A draft of just 1.45m endorses the GTT’s go-anywhere ethos and ability to navigate and lay anchor in some of the shallowest waters, while a hybrid-power plant formed of two 20kW electric motors can propel the vessel to a speed of six knots about as quietly as a sleeping nun. The advanced electro-mechanical systems aboard fully endorse the sustainable, comfortable and agile package Roland Heiler, CEO of F.A. Porsche attests is indicative of the yacht’s pursuit for intelligent performance. Amongst the restrained yet charming lines the sundeck is incredibly well proportioned. The 95sqm deck is a dynamic entertaining space, featuring numerous lounging areas, Jacuzzi-pool, al-fresco dining area as well as 75-inch outdoor home theatre. Aboard, the GTT 115 scores another big tick. Available in a three or four guest cabin arrangement with three crew bow-cabins the result is a gust to crew ratio of 1:1. Prices for the GTT 115 hybrid start at €12,500,000 and have a modest 15-month lead time.